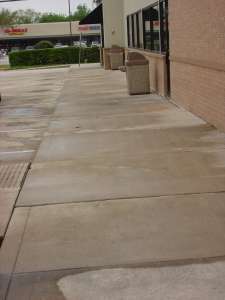 With Made New Again, our concrete cleaning services make sidewalks and outdoor surfaces look like new again. We utilize a state-of-the-art process that removes not only gum, but any mold or mildew residue as well, leaving the surface clean free from that unsightly look. Call us today at (832) 477-6233 for more information, or to request your free demonstration of our concrete cleaning.